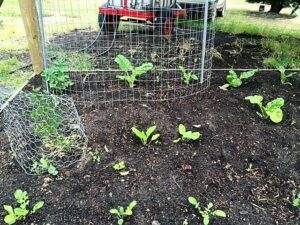 Been a busy one in the garden as we prepared the garden beds with soil and compost and planted an assortment of vegetables, pumpkin, zucchini, corn, peas, tomatoes, lettuce, cucumber and onions. It’s been great eating our own lettuce that self-sowed from last year’s crop, combining it with fresh basil and mint from the garden in our salads! Looking forward to the four varieties of tomatoes planted … we should literally be tasting the “fruits” of our labour in early January! Looking forward! 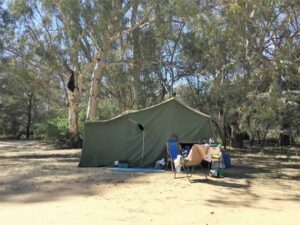 Last week saw us camping by the Murray River, an annual escape every second weekend in November … we saw a koala climbing down a tree and walking straight past our tent. I read Murray Bail’s novel, Eucalyptus and we made ourselves a fine campfire roast with vegetables and feasted to Bob Dylan serenading us in the background. I was talking to a vegetarian recently who was telling me how grateful she was to have found Body Balance for its vitamin B12 content. So many vegetarians are low on vitamin B12 and deficiency may lead to anaemia, symptoms being heart palpitations, lack of red blood cells and haemoglobin in the blood. When cells aren’t getting enough oxygen, the heart has to pump harder, creating stress in the body. B12 is also necessary for keeping our nerves healthy, supporting the production of DNA and maintaining normal brain function. Generally, lack of Vitamin B12 causes overall tiredness!! B12 also doesn’t occur naturally in the body so you have to get it from an outside source. If you are NOT a vegetarian, you can usually meet most of your B12 needs by eating sardines, beef, tuna, fortified yeast, trout, animal liver, some shellfish and eggs. So, the good news for vegetarians is that Kelp, Wakame and Nori contain vitamin B12 all found in Body Balance, combined with a soup of co-factors that help it absorb in the body. What I also found interesting is that vitamin B12 is required in the production of the feel-good chemicals, Dopamine and Serotonin! No wonder so many people call Body Balance their Happy Juice!! So, if you are a vegetarian yourself or if you have vegetarian friends, please pass on this information and let them know about the overall nutritional benefits of this liquid gold especially if they find they are tired or anaemic. 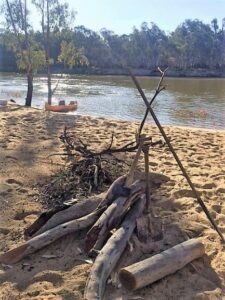 This Friday we are heading off to the Dandenong’s for our annual Lifeforce Retreat! 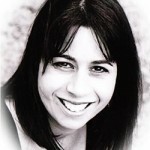 I am so looking forward to catching up with my colleagues, one woman has been using these products for nearly 20 Years!!! You are welcome to join us at A Country Place at 11am, Saturday December 1, to listen to my good friend and colleague, Doctor of Chinese Medicine, Carolina Gonzalez, talk about the benefits of Body Balance and what she has experienced with clients in her practice. This will be followed by lunch! If you would like to come along and meet us personally, we would love to share this time with you in tranquil, country surroundings. The cost for the talk and lunch is $35 however bookings are essential for catering purposes so do text me on 0411 208 288 if you feel called to come along! By the way, our protein powder, Amino Charge is on special till 30 November at 30% off at $58.40 AUS!! This is for a whopping 1050-gram container so great value!! This is the protein powder I use in my shake I told you about last month! 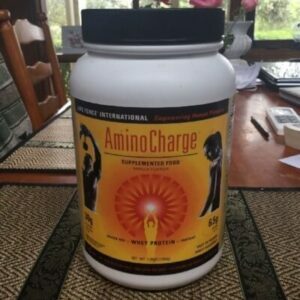 Gluten and soy free and Non-GMO, Amino Charge is made from the highest quality, specially selected and most concentrated whey available on the market (at 80% protein!) This powder contains protein sourced ONLY from dairy cows fed a diet that includes natural grass and other forage. These cows have NEVER been injected with artificial hormones, steroids, growth enhancers or antibiotics. The Vanilla flavour tastes totally wholesome and you will love it in your smoothies for weight maintenance or building muscle mass!! The sun is out now so I’m off to weed the rose garden! !